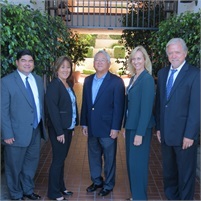 Founded in 1968 by Stuart Tsujimoto, CFP®, Cetera Advisor Networks LLC - South Bay is one of the largest and longest serving financial planning firms in the South Bay. It is a group of independent financial professionals, all with varying backgrounds in areas such as investments, retirement and estate planning, life, health and disability insurance and income tax. By teaming with over 25 other professionals at Cetera Advisor Networks LLC - South Bay, we can pair our broad base of knowledge and depth of experience to help our clients more effectively work toward achieving their financial goals.